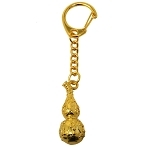 Carry this gorgeous Wealth and Success Amulet Keychain into the Year of the Rooster for prosperity and good fortune luck. 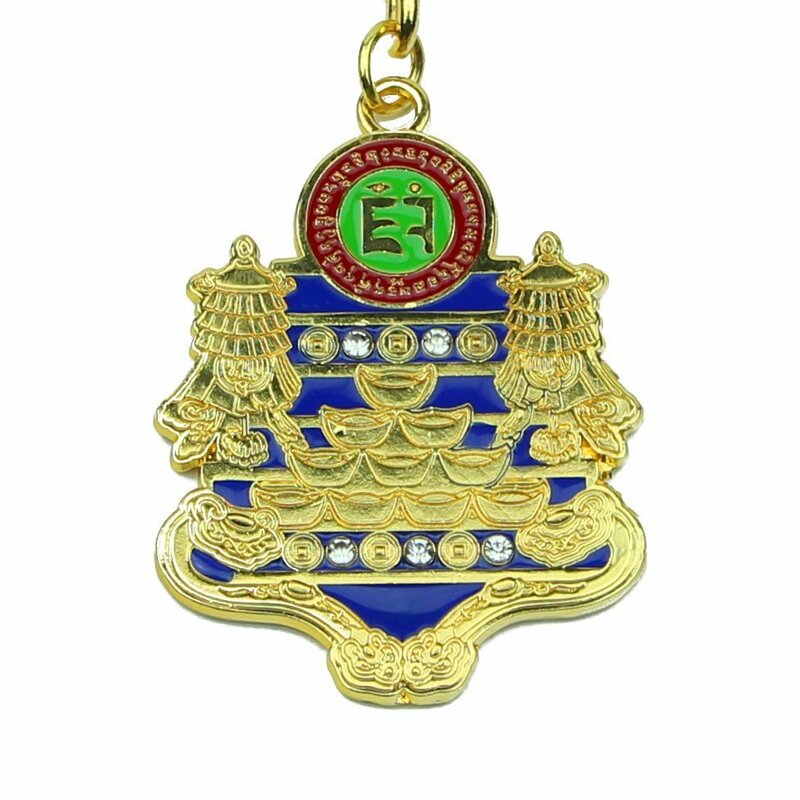 The Amulet features auspicious items: the Victory Banner for triumph in all endeavors, the Success Syllable for smooth, hindrance-free endeavors, and the Chi Lin for protection and auspicious chi. 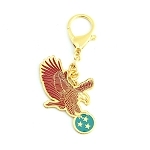 The auspicious golden Ru Yi is also a prominent item on the keychain; also known as the scepter of authority, the ru yi will enhance your successful opportunities and prominence in your career ! 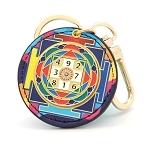 The dimension of this feng shui Wealth and Success Amulet Keychain is approx. 4.5" x 1.5" x 1/8". It is made of alloy.